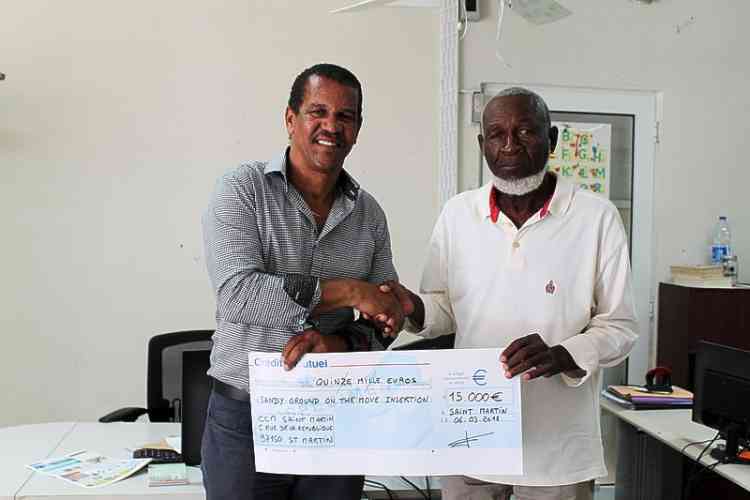 MARIGOT–Association Sandy Ground on the Move Insertion received a donation of 15,000 euros from Crédit Mutuel St. Martin on Tuesday to assist the association with its operations and objectives in an increasingly difficult period for the district post-Hurricane Irma. Crédit Mutuel representatives present for the cheque handover included Director Hugues Charneau, Deputy Director and Business Account Manager Pyère Lemieux, and administration board President Elio Gumbs. Charneau explained that while Crédit Mutuel facilitated the donation, it came from an association created by Crédit Mutuel in Strasbourg to solicit donations for reconstruction in the French Antilles. 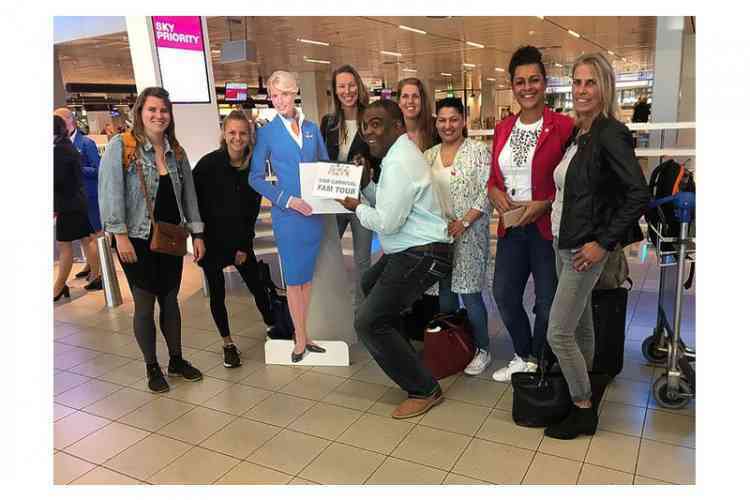 District six representative Georges Richardson thanked the Crédit Mutuel representatives profusely for the generous gesture, adding that normally only government gave money to the association. Richardson told the bank officials that the district’s associations focus on helping the youth, noting the difficulties many English-, Spanish- or Creole-speakers in the district have when it comes to mastering the French language. Among its projects, the association helps young people coming out of prison to integrate back into society, offers short employment contracts, helps schoolchildren with homework and cares for the elderly. He said he is assisted by the very capable director of Sandy Ground on the Move Insertion, Marjorie Antoine, who helps to turn his vision and dreams into reality. “She relates more to the youth and I relate more to the adults and elderly,” he said. Richardson said the association’s current clean-up project is very important to improve the image of the district, particularly in a tourism-driven economy.